Fremont, CA (Feb 27, 2014) – Unitek College offers new Information Technology Program to meet the needs of aspiring IT professionals. Unitek College is now offering an Information Technology diploma Program. This program is ideal for aspiring IT professionals who want to change careers and enter the technology field. This program fits perfectly with Unitek College’s focus on providing the most current and relevant education, paired with high quality instruction. The Information Technology program offers students the opportunity to develop a strong technological foundation. This part-time IT program is designed to teach you the fundamentals of computer technology, including the ability to successfully support the function and security of desktop and network computer systems. The program is designed to prepare students to pass multiple certifications regarded as important standards for entry-level positions in Information Technology. Students will be equipped with the skills needed to pass five exams from CompTIA: A+, Network+, Security+, Linux+, and Storage+. The A+, Network+ and Security+ certifications are generally regarded as the benchmark certifications for entry-level functions in Information Technology. “After completing this program, graduates greatly improve their chances of being hired for positions such as IT Technicians, System Administrators, Network Technicians, Computer Security Specialists, and more”, stated UnItek College COO, Navraj Bawa. Unitek College provides career training in Nursing, Allied Health and Information Technology programs for those seeking a fast paced and challenging education. The curriculum provides a solid foundation in the knowledge and skills required for an entry-level career in the Healthcare and Information Technology fields. Our programs are taught by experienced instructors, in modern facilities & labs. Unitek College also extends professional development and mentorship for externship and employment assistance to its graduates. Unitek College is a privately held vocational school dedicated to helping you gain the skills needed to advance in your career or initiate a new career. 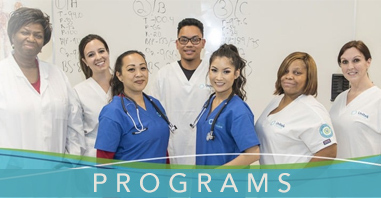 Accredited by the Accrediting Commission of Career Schools and Colleges (ACCSC), Unitek College is proud to offer its programs from three convenient locations in Northern California with a campus in Fremont, a campus in Sacramento and a campus in San Jose. 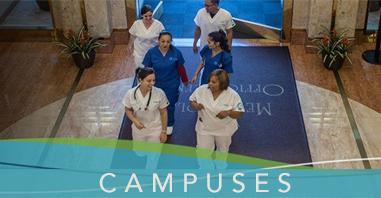 Unitek College offers programs in Medical Assisting, Pharmacy Technician, Vocational Nursing, Registered Nurse Bridge – LVN to RN, 2 Stage Associate Degree Nursing, Bachelors of Science in Nursing, and Information Technology. To learn more about Unitek College, and the programs offered at each of our campuses, visit https://www.unitekcollege.edu or call toll-free at 1-888-735-4355.